The most wonderful time of the year is fast approaching and people have started to do their Christmas shopping and are already planning for their holiday trips. There are some people who has a tradition of going to other countries to be able to experience the winter weather as well as the different traditions a certain country has. Some believe that it is definitely the perfect time to experience what it’s like to celebrate Christmas in a foreign land and not just stay within your city. One of the most popular tourist destinations for people every single holidays would be some cities in Europe. There are tons of countries in the world who unfortunately don’t get to experience a winter weather hence they decide to try it in some of the most beautiful places there. However, what most people don’t really like is how crowded and busy it can be during the holidays, this is the main reason why some people find it frustrating to travel to crowded cities during the holidays. There is no need to fret though, because there are still tons of beautiful cities Europe has to offer and most of them are underrated, here are a couple of them. 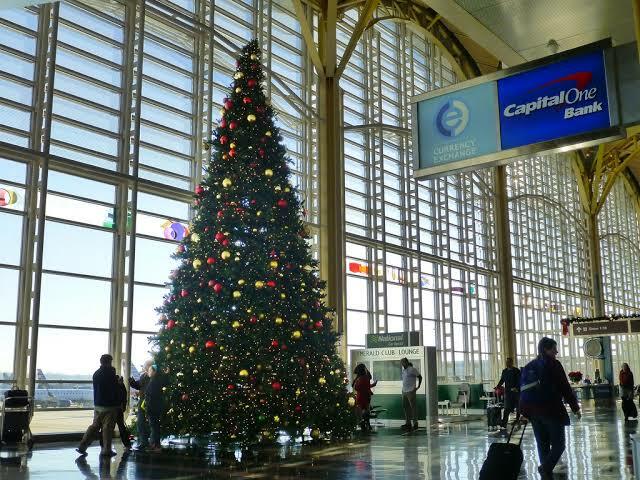 In 2017, 6.4 million Americans travelled by air for the holiday season since the holiday airfare was 20 percent cheaper compared to the year before. When people go to England they immediately think of London which is perfectly understandable since it is one of the most popular cities to visit in the entire world, but what people don’t realize is that there is much more to England than just the London Bridge, the Buckingham Palace, or the Big Ben. There is actually a city known as Winchester that is considered as bewitching this time of year. The place is known to be very peaceful and beautiful during the holidays, they have a market that is filled with lights, and you can even skate while overseeing the medieval cathedral in the background. People say that even if you are not religious at all, it is definitely a must because of the enchanting Christmas hymns that you’ll hear which will be echoing throughout the place. Another city that you must visit this holiday season is the capital of Lithuania. People say that it is the ultimate romantic destination for winter time since it has tons of Christmas markets to visit while walking through the snowy streets. It is known to be a medieval old town so you will see some baroque architecture that will surely fascinate you. They also have bazaars that you can check out and you can shop for souvenirs as well as try some of their famous delicacies. What is so great about this place is that it is usually not extremely crowded unlike other cities, but it has so much to offer. Most people often think that they didn’t even realize such place exist, well the truth is that this is actually the land of Santa that lies on the Article Circle. 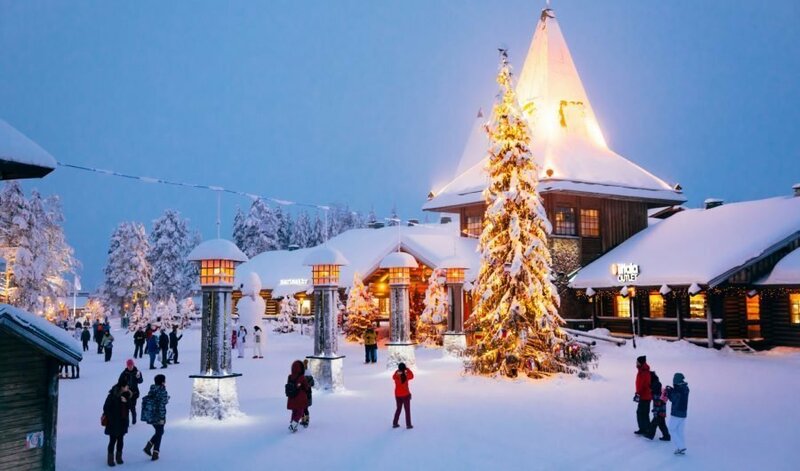 This place in the heart of Lapland, Finland is definitely a place you can bring your entire family with especially the kids who may get stuck in awe on how pretty it Santa villages are. It is not called as the official home of Santa Claus for no reason. Although tourists mostly visit this place during the holidays, you can still pay Santa a visit anytime all year long. It is not just about sightseeing though, they also offer reindeer rides throughout the city, or have a tour with huskies, and most of all, be amazed by how enchanting the northern lights are. Finally, if you wish to witness music and tons of entertainment scenes then the city of Madeira in Spain is the perfect holiday destination for you when you get to Europe. The city is in full swing during the holidays and this is for people who are not really into that traditional way of celebrating it. It is known to be one of the most underrated cities in Europe, probably because most people choose to visit Madrid, and other famous Spanish cities. Live local bands, the Funchal Road Race and some fireworks shows will definitely make your visit worthwhile.